As has become their traditional vehicle for release news, Nintendo broadcast a new Direct video this morning, showcasing a number of upcoming products (most for the 3DS), including several previously unanounced titles. After a series of not-so-subtle hints from series creator Shigeru Miyamoto over the past year, a 2.5D follow-up to The Legend of Zelda: A Link to the Past was unveiled for the 3DS. Set to be released this holiday, this sequel will retain familiar mechanics from the SNES classic, with the notable addition of the ability for the player to change Link into a drawing to traverse otherwise unreachable corners. An official name has not yet been specifed as of this writing, but expect to hear further details soon. A new Nintendo Direct video was broadcast earlier this morning, offering up several tantalizing details about future Wii U software titles. No less than 5 previously unannounced party games were unveiled today; including some of Nintendo's most popular franchises such as Super Mario, The Legend of Zelda, and Mario Kart. To that end, the fact that a new, currently untitled "Mario 3D Action Game" and Mario Kart title are in development should come as no surprise, more surprising, however, is how far along these titles are - both will be playable at E3 this June! The former is being helmed by Nintendo's EAD group, the same division responsible for the Super Mario Galaxy titles, as well as Super Mario 3D Land. Whether this mystery title end up being a third entry in the SMG series, or something new entirely remains to be seen. Another exciting announcement, this one for fans of the Legend of Zelda franchise, occurred - the Wii U currently has not one, but two Zelda games currently in the works. The first, is a Wii U optimized HD Remake of Gamecube stalwart The Legend of Zelda: The Wind Waker, and the second is an all new game, built from the ground up. 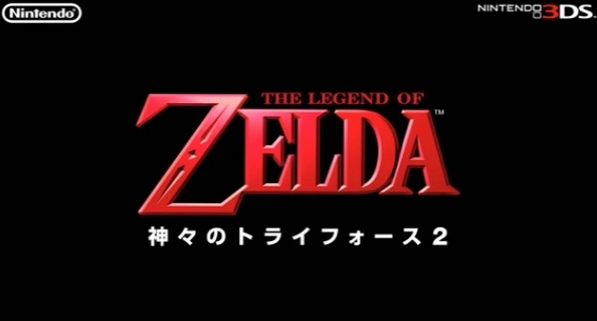 While details on the new Zelda game were deliberately scant at this point, Eiji Aonuma stated that one of his team's main goals is for the new game to "rethink the conventions" of the franchise; hinting that Nintendo is playing with the idea of implementing a non-linear dungeon structure and possibly even a multiplayer element to the storied franchise. Nintendo didn't stop there, however. Despite having discussed three of their most popular franchises, they also announced that for the first time in 15 years, Yoshi is once again getting a game of his own. Yarn Yoshi (working title) is being developed by the team responsible for Kirby's Epic Yarn on the Wii, and will have a similar, textile-focused aesthetic. Expect colorful, charming visuals in Yoshi's new 2.5D platforming adventure. The best reason thus far to own a Wii Motion Plus. Hot off the heels of a year long celebration commemorating the 25th anniversary of The Legend of Zelda, Nintendo has released the highly anticipated newest entry in the franchise, The Legend of Zelda: Skyward Sword Does it lean on its predecessors for success or is it genuinely a great game? The franchise has many longtime fans who would buy the game regardless of quality, but The Legend of Zelda: Skyward Sword won two awards at the VGAs this year, best Wii game and best motion game. Nintendo treats their fans well by releasing not only a good game in the Zelda franchise, but one of the first games to fully, and intuitively utilize the Wii Motion Plus. Read on to find out why Skyward Sword is a must own game, both for series regulars and newcomers alike. Nintendo has purposfully kept so many of the old game elements that make the series memorable. Dungeon crawling for a new tool that will help Link pass through a seemingly impossible are of the dungeon, goofy characters that only have one voiced word or speak in gibberish, colorful level design and puzzles. These are the staples for a Zelda game, but each new title has added its own flair. Some have worked and some have not. Overall the gameplay is what players expect from a Zelda experience. The system has worked for years and will continue to work in the future. 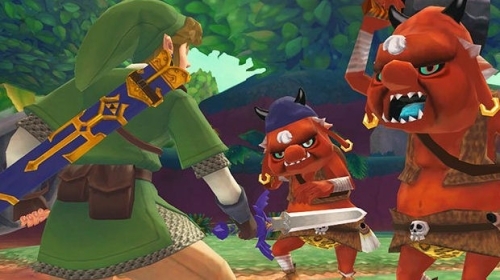 Skyward Sword adds a few new tools and an interesting dowsing feature to search for Zelda. They are fun but easy to learn and master. Earlier this week, Nintendo unveiled a series of special events and promotions that will be taking place to commemorate the 25th Anniversary of The Legend of Zelda. Beginning on June 7th, with the availability of The Legend of Zelda: Link's Awakening DX as a Virtual Console game, and ending this Holiday season with a Limited Edition Triforce Wii remote, this celebration includes re-released Zelda titles, special incentives, and more. According to Nintendo, either a new or re-released Zelda game will be made available for every Nintendo system this year - including DS, 3DS, and Wii. Specifically, The Legend of Zelda: Link's Awakening DX is now available via Virtual Console, The Legend of Zelda: Ocarina of Time 3D will be released on June 19, The Legend of Zelda: Skyward Sword will be released this holiday season on the Wii, and for DS owners, The Legend of Zelda: Four Swords Adventures will be re-released as a free download this fall.